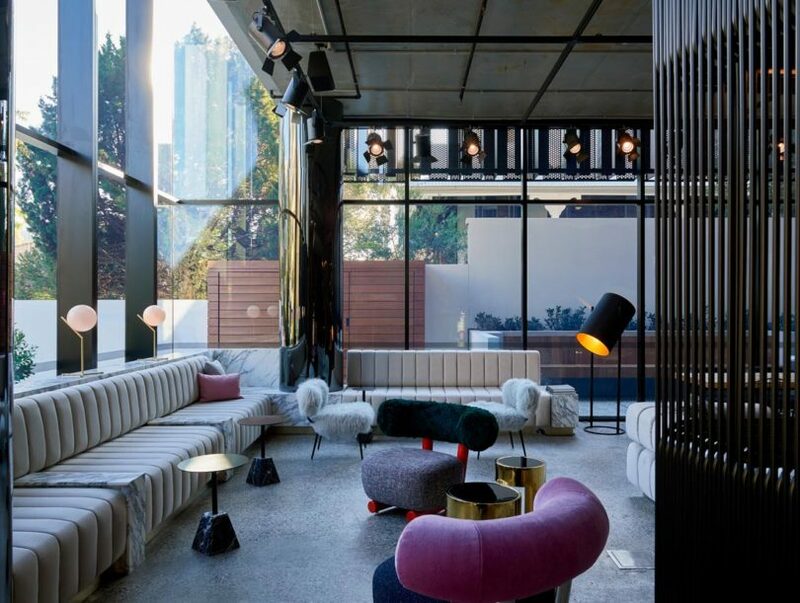 The Tribe Hotel Perth has a unique story behind its architecture that makes it worth a stay for architecture- and design-lovers. 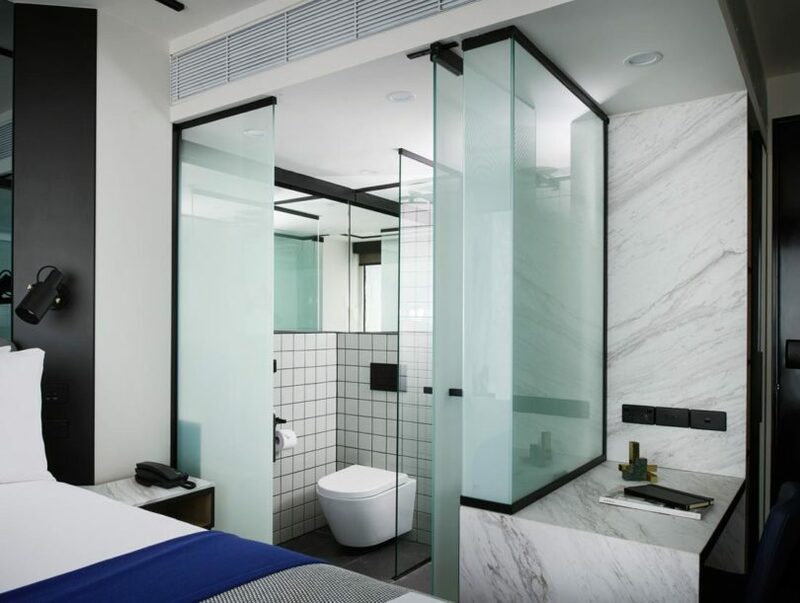 Designed by Idle Architecture Studio with interiors by Travis Walton and art direction by Marsha Golemac, the modern hotel was actually designed and prefabricated off-shore before being shipped to Perth, making the hotel one of the first to apply this innovative prototyping process. 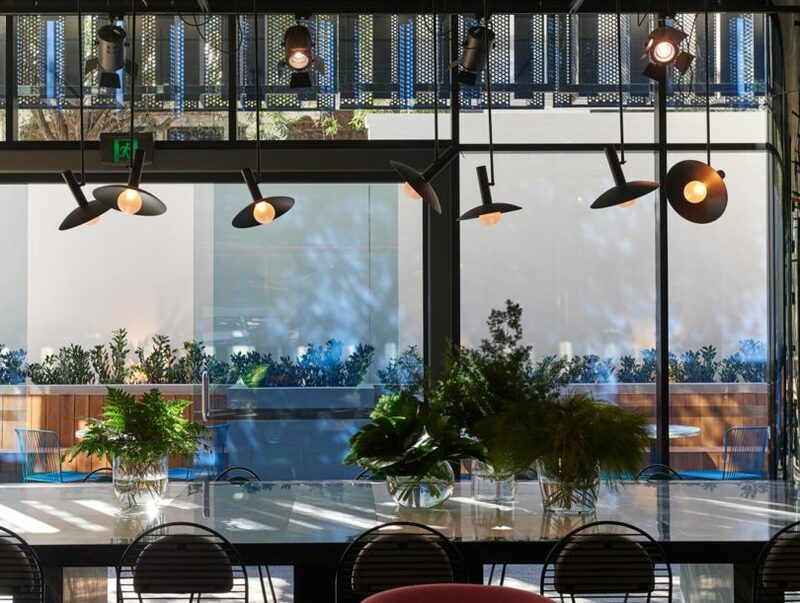 Tribe tapped on Idle Architecture Studio to collaborate on this hospitality project due to the studio’s previous involvement with modular construction in the hotel/residential sectors. 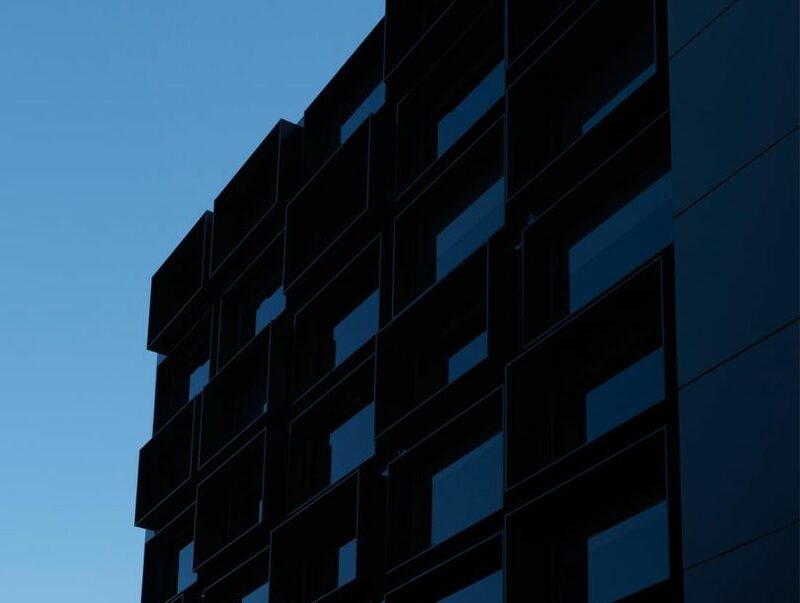 The building tower of the hotel is made up of 63 prefabricated modules that were extensively prototyped and then manufactured in a controlled factory environment in China. This also helped to reduce site wastage. 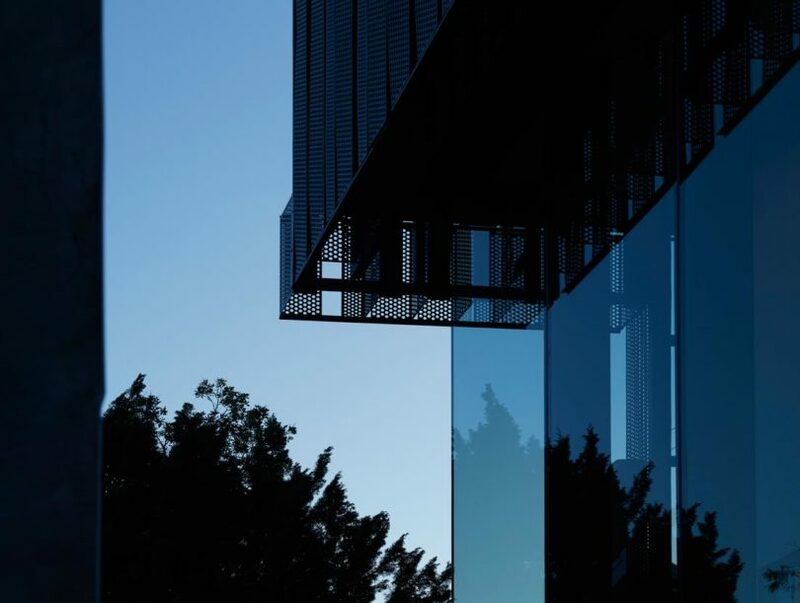 Once fully completed, the modules, along with with loose furniture (so as not to waste internal ‘air space’) were shipped to Perth where they were assembled onsite in just 14 days. 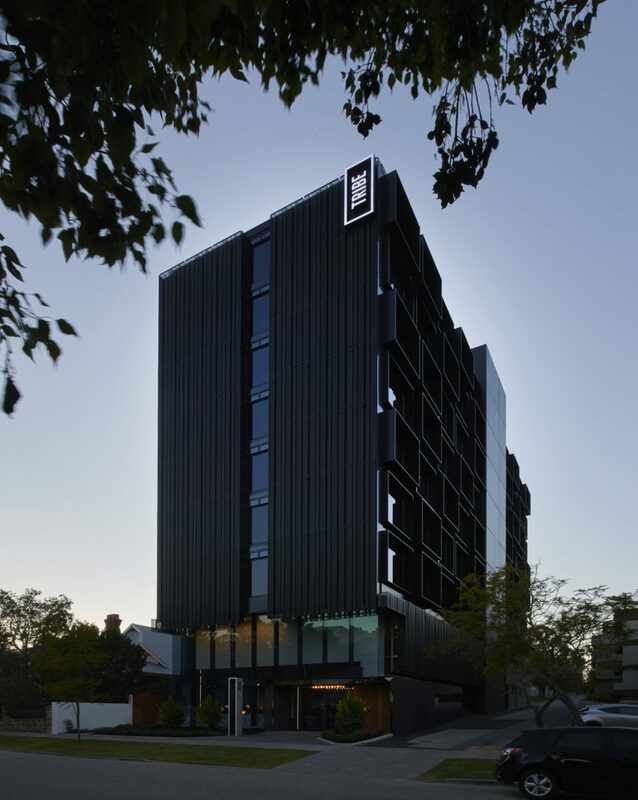 After adding the finishing touches, including integrating the services and installing the folded facade screens and window shrouds, the hotel was complete. The plethora of communal spaces are enhanced by the natural light flowing through the floor-to-ceiling windows and walls. 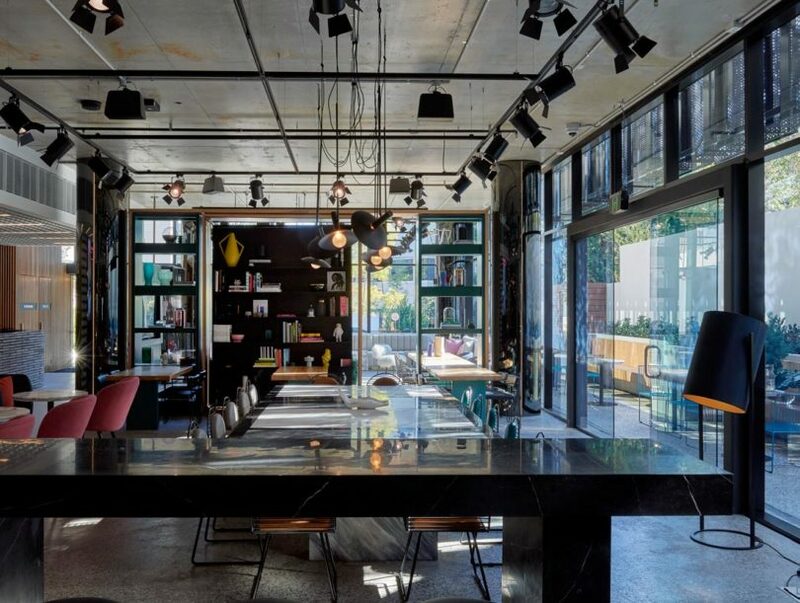 Chairs from Moroso, lighting by Tom Dixon, cushions by Jean-Paul Gautier and original artwork from local artists are featured throughout. 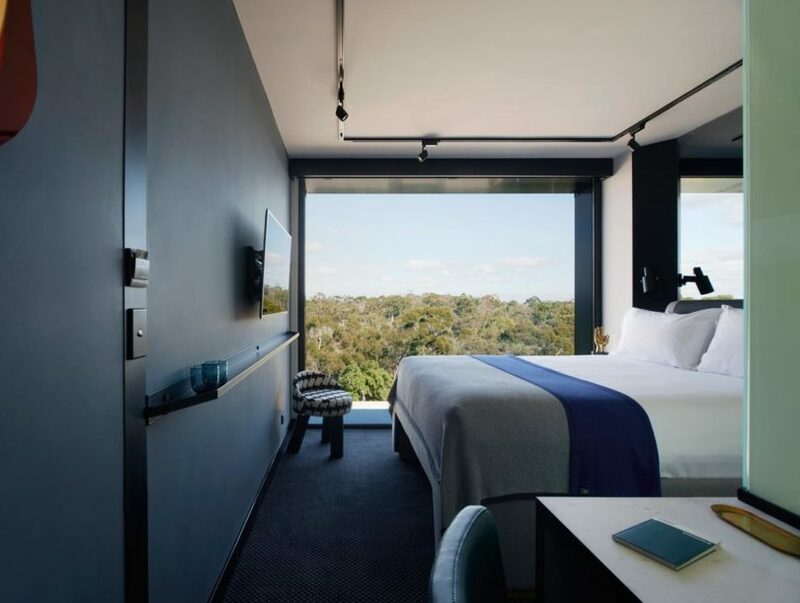 The guest rooms also benefit from floor-to-ceiling windows giving guests expansive views of beautiful Perth. Modern amenities such as smart TVs, Bluetooth radios, Kevin Murphy toiletries, and Nespresso Coffee are available for guests to enjoy in room. How much? Rooms start at approximately $90 per night. 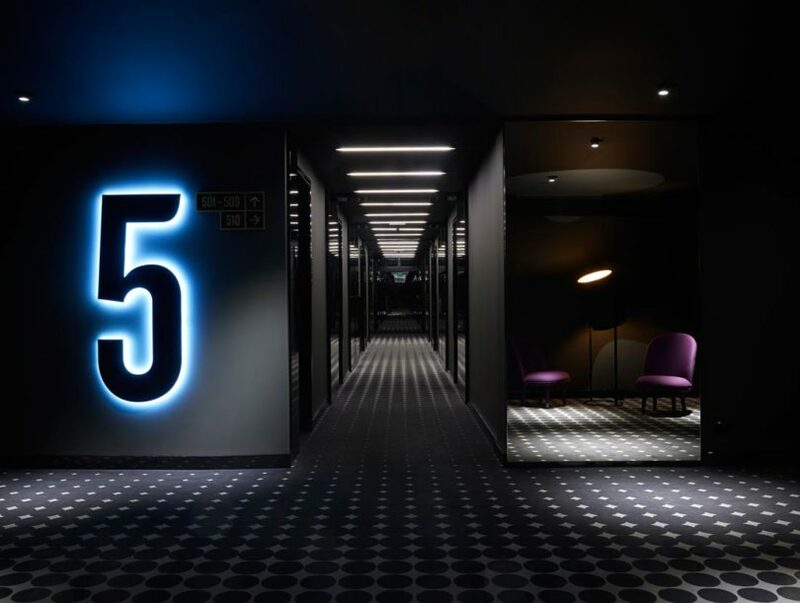 Highlights: The Tribe Hotel Perth has all the makings of a modern hotel to attract travelers: a unique architecture story, contemporary interior design, luxe amenities, and more. 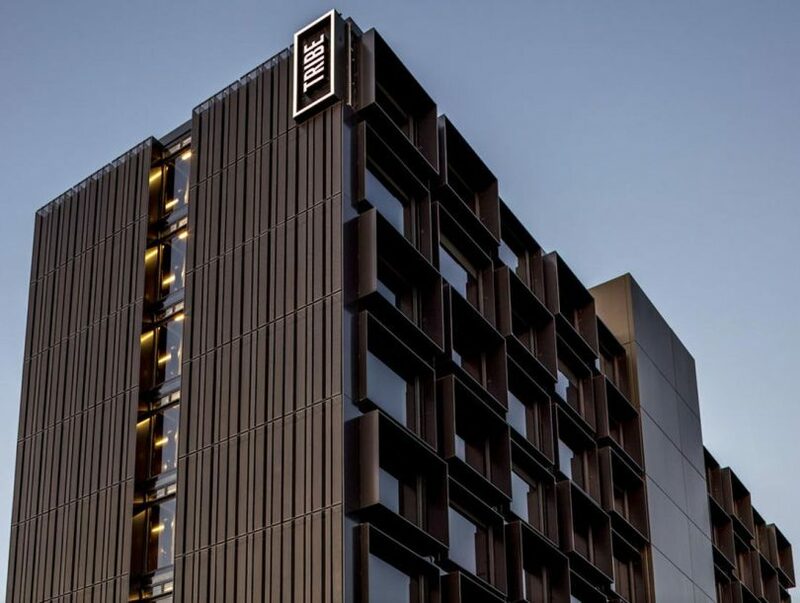 Design draw: The hotel’s architecture consists of 63 prefabricated modules that were designed and constructed offsite in China before shipping to Perth and assembled in 14 days. 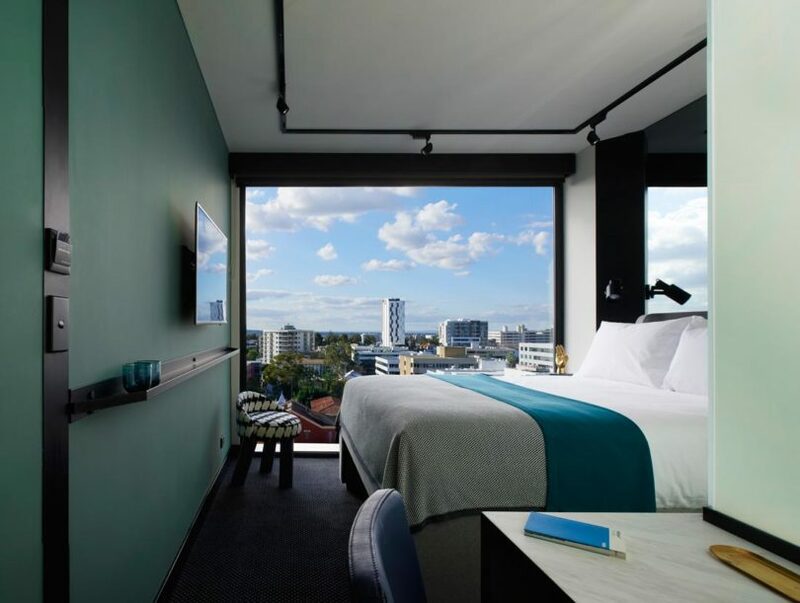 Book it: Visit the Tribe Hotel Perth.